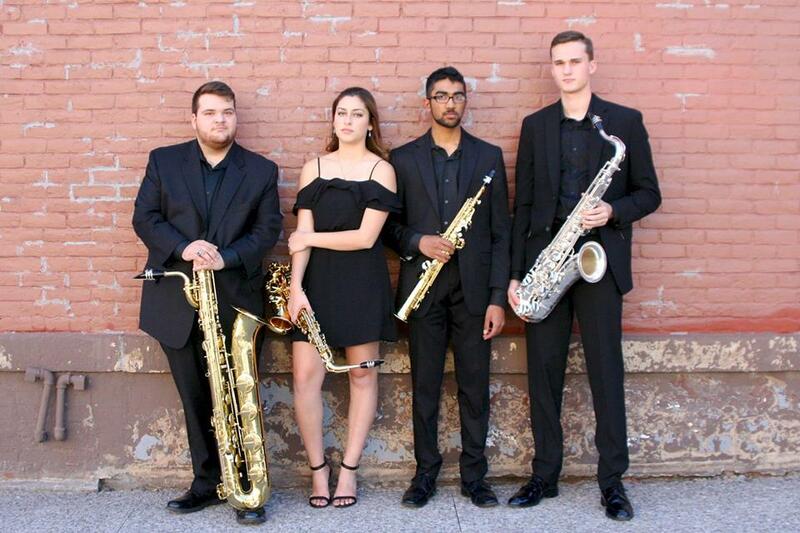 he award-winning Scio Saxophone Quartet maintains a focus on performing diverse programs for a wide range of audiences that demonstrate the flexibility of the four instruments. Based in Rochester, New York, the quartet emphasizes standard repertoire for saxophone quartet as well as contemporary music written by some of today’s leading composers. Members include Uday Singh (soprano), Siobhan Plouffe (alto), Clancy Ellis (tenor), and Michael Matthews (baritone).